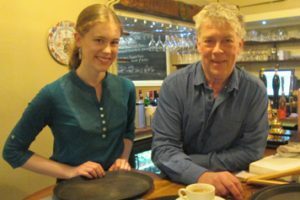 While 2018 was a very good year for Slow Food Aylsham – 2019, the group’s 15th anniversary, is looking to be even livelier, with some new ideas like pop-up suppers, revisiting some old ideas like visits to farms and restaurants, and a focus on greater involvement with local community groups and food outlets. At its annual general meeting at the Saracen’s Head, Wolterton, on 14 January 2019, SFA chairman Patrick Prekopp said that 2018 was a very good year for meeting the group’s commitments like the Schools Family Learning Day, Aylsham Show, and the Food Festival “despite a small membership”. It was a very good year for SFA’s bank balance – still in the black – and for new ventures particularly Norfolk Day in July (despite the weather), and the cider evening in September which launched the Food Festival. “But most of all, it was a very good year for self-promotion and greater awareness,” he said. “The greater use of social media, posters, flyers, and website, meant the message went out to a wider audience” and probably helped to recruit five new members, but there was still much work to be done. 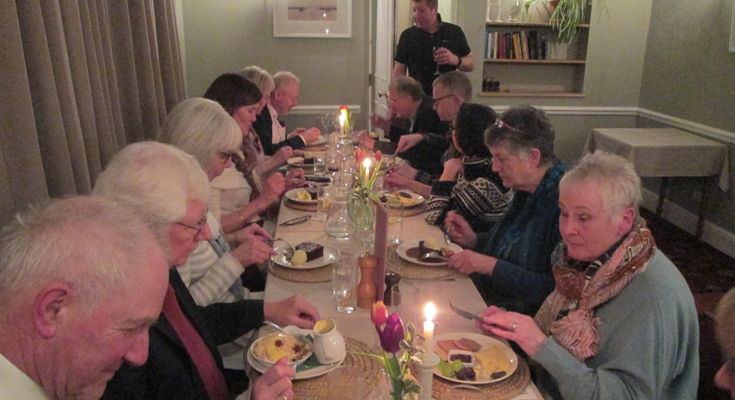 He thanked the group for their continuing support and tireless enthusiasm to lend a hand, and host Tim Elwes (right) and Milly for all her help and chef Mark Sayers for a “splendid spread”.